Artists Alexis Arnold and Cathy Fairbanks reconceptualize the parlor, the location for gaming, entertainment, and the reception of guests. The Gaming Commission will employ the Adobe Books Parlor storefronts through the installation of a salon putting-green and a pedal-powered tandem-bicycle reading station. 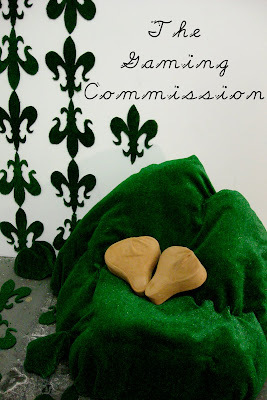 The Gaming Commission is the final month-long installation by The Pistils in the Adobe Books Parlor. My love is Another Kind, is the debut solo exhibition of Gina M. Contreras. 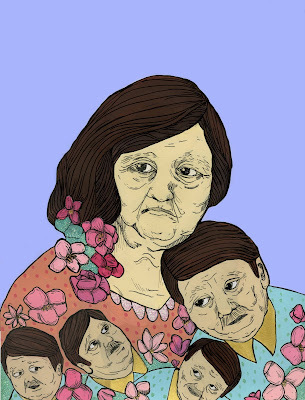 A recent graduate of San Francisco Art Institute, Gina M. Contreras daydreams through screen prints and paintings. She is a witness to the small moments and idiosyncrasies of other people, specifically the elderly. The aged are an invisible other in American society to which Contreras creates loving narratives on the sweetness, loneliness and possibility in their lives. Her works draw attention to the societal tendency to be dismissive and easily repulsed by our inevitable future existence. Gina M. Contreras was born in 1985 in Fresno, CA. Her hand screen printed artist book, If Only Things Were Like That (2008) was a recent acquisition into the SFMoMA collection. Contreras was the 2008 recipient of the Schmidt Community Arts Fellowship and Bronze Roller Honor at San Francisco Art Institute and the 2005 Promising New Artist to Watch, Art Space Gallery, Fresno City College. Support for this project is provided by Southern Exposure's Alternative Exposure Grant Program. A 4 hour public performance / installation on Friday, January 15, 2010 at the Adobe Bookshop Storefronts on 16th Street in the Mission, SF beginning at 6pm. PLAY by the RULES is the fifth of six InterMissions and is created by artist Mimi Moncier in collaboration with architect Alan Lewis as part of the Adobe Parlor Projects (curated by Devon Bella). InterMissions are short intermittent events in and around the window areas that challenge our cultural notions of display, exhibition and social activity. Thematically, each will refer to the production of space as an ongoing and ever-changing activity within which we are all participating. PLAY by the RULES will specifically examine the sometimes arbitrary nature of alliances as they are made and broken through time.